Today's stock market, Aug. 19, 2014: U.S. stocks soared Monday on positive housing data and growing merger and acquisition activity. The Dow gained 175 points, while the S&P 500 Index is again taking aim at the historic 2,000 mark. The Nasdaq is back at a 14-year high. Geopolitical issues in Iraq and Ukraine were tame yesterday, much to the relief of investors, but to the detriment of oil prices. Brent crude fell below $102 a barrel, and West Texas Intermediate, which is priced in New York, slipped below $97 per barrel. 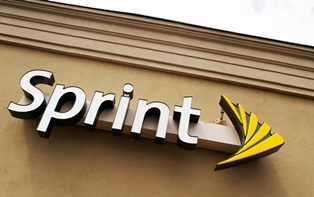 Price Wars: Shares of Sprint Corp. (NYSE: S) were down in premarket hours after the company announced plans to slash its subscription charges and ignite "disruptive pricing" to the telecom world. According to reports, the company will allow customers access to 20 gigabytes of data and up to 10 lines for $100. As the stock hovers near its 52-week low, the company is seeking a boost just weeks after its pursuit of T-Mobile U.S. Inc. (NYSE: TMUS) fell through over regulatory concerns. Merger Mania: Shares of Skilled Healthcare Group Inc. (NYSE: SKH) were up more than 32% this morning on news that the company will merge with privately held Genesis Healthcare. The all-stock transaction will help form one of the largest providers of long-term medical care services in the United States. The announcement comes in a very busy transaction day that includes deal announcements for multiple companies, including BHP Billiton Ltd. (NYSE: BHP), Novartis AG (NYSE: NVS), and Samsung, among others. Strong Spring: Shares of The Home Depot Inc. (NYSE: HD) hit a new 52-week high and were up more than 3% in premarket hours on news that the company bested second-quarter earnings expectations. The company reported a 14% increase in second-quarter profits, as the firm saw strong growth thanks to a resurgent housing market and strong spring-time sales. Following a harsh winter-weather season, the company made up its sales, boosting expectations for the duration of 2014.